Freelance journalist and ska aficionado Middagh Goodwin has created every ska music fan's fantasy Coachella bill! While the Indio, California-based festival has booked a number of high profile ska acts over the years-- The Specials, The Selecter, Madness, Jimmy Cliff and Tokyo Ska Paradise Orchestra have all performed and Toots & The Maytals are booked for this year's edition --Coachella tends to focus on booking popular indie rock and electronic bands. I have to confess that when I first saw Goodwin's design on the interwebs earlier today, I was completely caught off guard. Coachella always announces their line-up in early January. 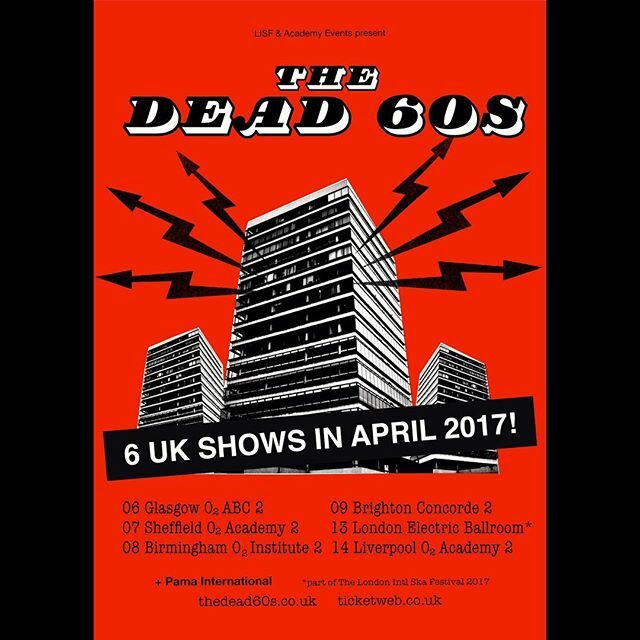 So, for about 5 seconds I thought this was a real show, until I noticed that bands like the New York Citizens, The Crazy 8's and The Dead 60's were all on the bill! 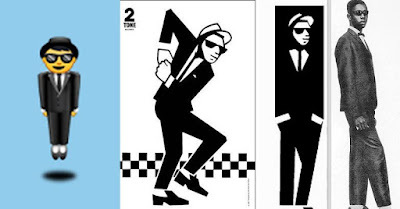 Or that The Specials and their rogue guitarist Roddy Radiation and The Skabilly Rebels were performing on the same day! 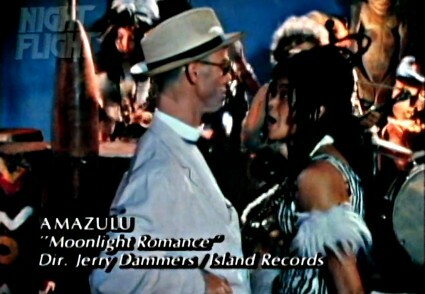 If only the space time continuum would allow us to defy time or help us to patch up bands that broke up years ago! But Goodwin's design and ska imagination (he's booked bands in Northern California for 30 years) are intriguing and it does make me think. How do we convince Goldenvoice (the company that manages and books Coachella) or another deep pocketed promoter to consider booking an all ska and reggae festival line-up? I bet if they held a Skachella festival in San Diego or in Tijuana, Mexico (to take advantage of the burgeoning Mexican ska scene) they might be surprised at how fast it would sell out. To be fair to Goldenvoice, they have booked "The Devil's 3 Way" 2017 tour featuring Voodoo Glow Skulls, Buck-O-Nine and The Porkers. 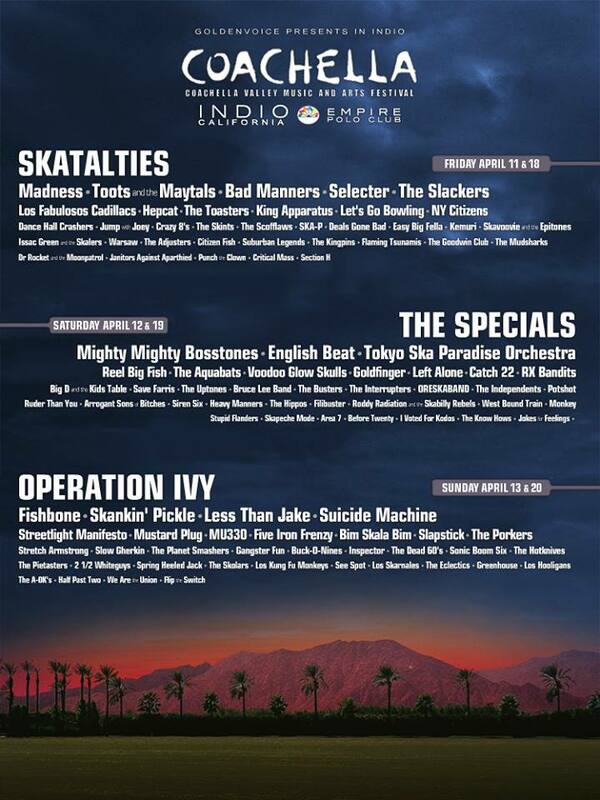 Well, until this fantasy ska festival happens, enjoy some recent ska bands performing at the real Coachella including The Selecter's entire set from Coachella 2013! A Young Gwen Stefani Gets Stings Autograph Circa 1983! While I was interviewing Derv Gordon of The Equals, I mentioned that I was a fan of the band and he laughed and shared that the first record he ever bought growing up was Johnny & The Hurricanes "Red River Rock" saying "You're not the only one who's a fan!" He went on to say he finally got to meet Johnny Paris some years later in Hamburg where both bands were performing. The idea of fandom has always fascinated me. 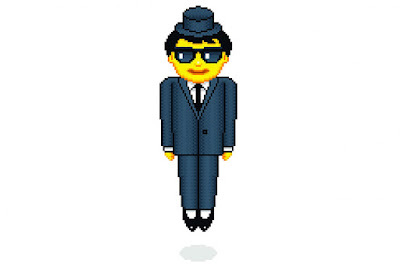 As a fan of ska and a ska musician, I've been privy to a unique musical subculture with its own dress code, rules and structures. I recently scanned "Popular Music Fandom: Identities, roles, and practices" which is a collection of essays on what it means to be a fan of popular music (yes, this is actually an area of legitimate scholarly research!). 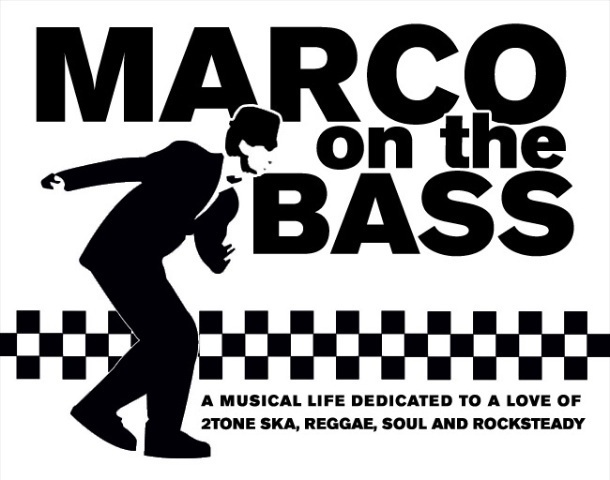 It made me reflect on my own experiences as a music fan and to consider that an early love of music via the radio, records, concerts and shows is the starting point for what becomes a strange but enjoyable process of building both a personal fan identity (I'm a rude boy) and a shared community fandom experience of seeing a concert (I'm a ska fan). "Going around school with a record under your arm sort of said who you were. You’d go to school with a Bob Marley record under your arm all day. We listened to vintage music and wore vintage clothes. It was our own thing, our own identity. Amongst the wrath of Fleetwood Mac and all this global corporate rock music, punk was starting to happen. At the Roxy, they were playing reggae as they were playing punk." 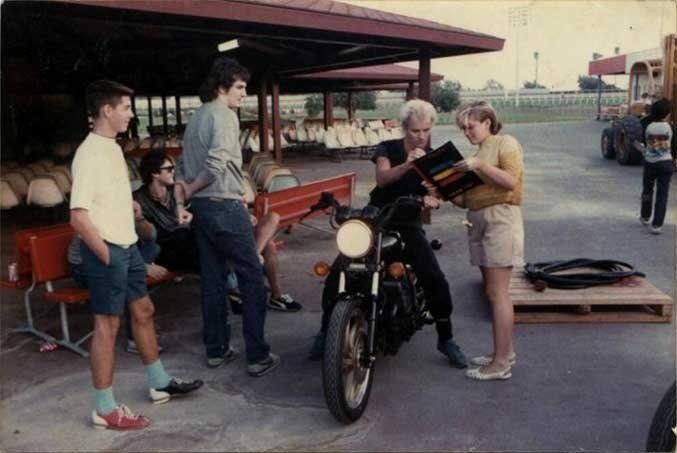 To that end, I recently came across the wonderful photo of a young Gwen Stefani getting her Synchronicity poster signed by Sting before a concert by The Police at Hollywood Park in Los Angeles on September 6,1983, which included openers The Fixx, Thompson Twins and Berlin. It's a great visual depiction of fandom. A young girl is getting an autograph for a musical hero. But then an amazing thing happens. That young girl goes on to start her own successful band. And then twenty years later, she has the honor of inducting one of her favorite bands into the Rock & Roll Hall Of Fame. Watch Stefani's speech and hear her tell the story of the photo and then watch her sing "Message In A Bottle" during a sound check with Sting! I'm excited to be back to blogging again after a long hiatus! As such, I want to make the blogging experience more interactive and immediate, so I'm going to do a lot more podcast interviews. To that end, my first live interview is with Derv Gordon, who was the lead singer of The Equals! While Eddy Grant tends to get the lion share of attention about The Equals, Derv deserves more credit for the band's sound and for his contribution to their success. I recently connected with Derv and interviewed him about what it was like to move to England from Jamaica as part of the Windrush Generation and his experiences and stories about being in The Equals, who as the very first multi-racial band, went on to change British music, society and culture. The best news is that after a long break, Derv is back to performing the music of The Equals and will be playing his American debut at The Elbo Room in San Francisco on Friday January 27, 2017. Its hard to believe that for all their success in the U.K. and Europe, The Equals never performed in the U.S.
As a young ska music fan, I was first introduced to The Equals when I picked up a copy of "Black Skin Blue Eyed Boys" at a record convention where I was scouring for hard to find ska and reggae records. 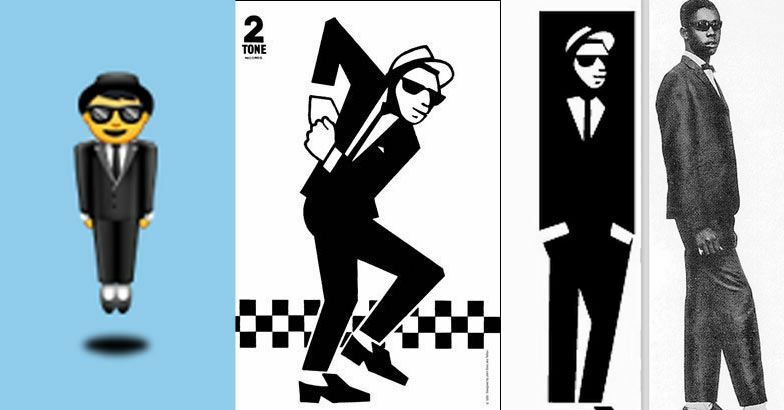 I had never heard of the band, but the sticker on the sleeve said "The Very First 2-Tone Band!" Of course, I was intrigued and bought it. When I got home and put it on my turntable, what I heard blew my mind. The song wasn't ska and it certainly wasn't reggae. But it was mesmerizing! Derv belted liked James Brown and the band (Eddy Grant, Derv's brother Lincoln, John Hall and Pat Lloyd) mixed fuzzy garage rock and funky R'n B that combined a bi-racial is beautiful message to an anti-Vietnam war call to action ("Black skin blue eyed boys/Ain't gonna fight no wars"). I was smitten. As I did my homework, I learned that Eddy Grant (who at the time was stepping off his sofa into a pool of water in the 'Electric Avenue' video on MTV) was the band's guitarist. 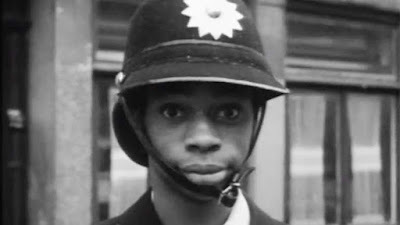 The Equals didn't play ska, but as the very first band featuring both black and white members and native and immigrant musicians, they brought a Caribbean flavor, courtesy of Derv, Lincoln and Eddy to British music of the 60's, adding hints of rocksteady bass lines, upbeat ska guitar and occasional shouts of "Rude Boy!" to their bubble gum pop meets garage punk meets skinhead soul. Best known for the original versions of "Baby Come Back" and "Police On My Back" they were huge across the U.K. Europe and later Africa. The riff for "Baby Come Back" is Hall of Fame worthy in my book (check out the video below of the band performing the song live - its a musical explosion!). 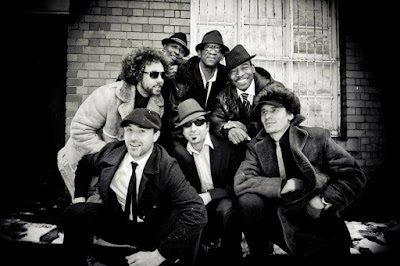 And if that's not impressive enough, the band also penned "Rough Rider" (as The Four Gee's) which was famously covered by both Prince Buster and The Beat!